Tires are one of the most important parts of your vehicle. They don’t just keep you securely on the road, but they also take you over whatever path is before you, whether that be gravel, pavement, dirt, rain-covered, or slick. You should invest in high-quality tires to ensure that you have the best preparation against whatever may come your way, but how do you know which tire is the best for your Nissan vehicle? Tires come in all sorts of different sizes and grades, so how do you know which ones your Nissan model needs? Use our Tire Finder Tool to find out. Simply enter your year, model, and trim, or, if you know it, the tire size, and click the arrow. Next you will be taken to a screen that has all of our matching tire selections. These will include different brands, prices, and seasonality selections, so be sure to take your time and browse through each choice. You can compare multiple tires, if you’d like to get a side by side view. If you still aren’t sure which tire would work best for you, feel free to contact us or stop by our parts center and tire store. Our associates are available to discuss the differences between tires, show you which ones they think would be best for your vehicle, and schedule you an appointment to have the tires installed, if you’d like. 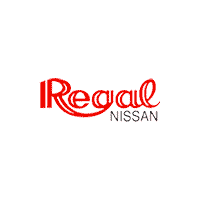 Whether you live right here in Roswell, Georgia, or you are visiting from Atlanta, Sandy Springs, Alpharetta, or Johns Creek, we, here at Regal Nissan, would love to help you find the tires that your Nissan vehicle needs.